A thoroughly thought provoking, touching, and also inspiring, yet sad depressing documentary. A man with a dream of music, yet stuck in the day to day reality of existing. Matthew was an up and coming singer with a promising music career, but in 1996 he went to prison for stealing. While in prison he learned to sing in Spanish. When he left prison, he changed his name to Mateo, and went with a new adventure in singing. Mateo has an obsession, and love affair with Cuba. He travels there often, and now is taking another trip to record and put together a new album. His ultimate dream is to live in both places, America and Cuba. Mateo is a different soul. A man who understands the soul of music, and the reality of the beating heart of sound. He has a fantastic voice. He is a very gifted musician. Creating, and writing flawless music. This documentary is very different, very odd, very frank in many realities. It showcases Mateo’s living setting, which is a total mess, definitely a hoarder. 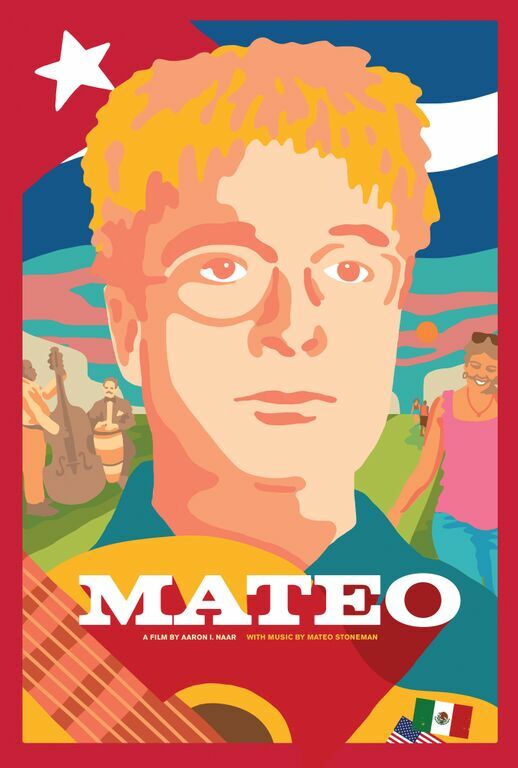 It showcases Mateo seeking out the companionship of prostitutes. Mateo's desire to find love and companionship is also a depressing side of this individual. His work life and daily struggles are showcased. His estranged relationship with his mother and father is also displayed. I think the movie expresses a sad soul with a beautiful voice. It's almost a little too depressing in showcasing Mateo's ordeal, but it also displays the ultimate desire, and fortitude to never give up. Something that is expressed is his reality. Some of his fault, is his own doing. His sexual appetite to spend money on prostitutes. That reality can also be looked at, as his loneliness, his desire to have companionship, or find someone to love as he sees fit. He washes away his pain, his demons. He try's so hard I think at times, he loses his way, or becomes more lost. This is directed by Aaron I. Naar. This being his first feature length documentary. Naar created something unique and personal. This documentary is a character study, a biography that leaves a lasting impression. He spent 7 years, and 350,000 dollars to complete his album of Cuban music. His desire. His approach, and ultimate will, is a truly fascinating experience that is unique. A very impressive documentary. Brilliant viewing. A very impressive character study. Mateo is someone filled with a desire that many of us lack. His desire is his ultimate reality. His passion for music inspires. His love for music makes this film come to life, and gives you an experience that lingers on your mind after the last shot. A perfect blend of outrageous personality with a solid soundtrack of music. A film dressed up with total originality, and a life inspiration that lingers on a dramatic understanding of dreams, will power, and the quest for Cuban putang.